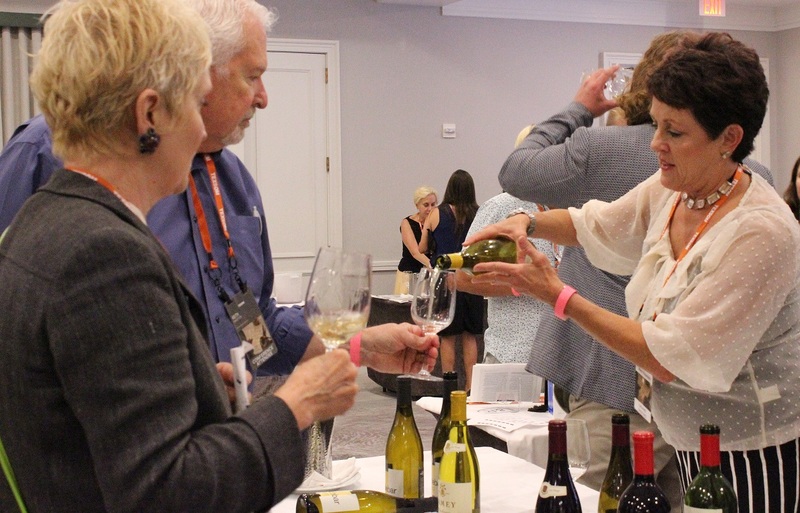 Wine lovers and future sommeliers gathered at the Four Seasons Resort and Club Dallas at Las Colinas for the 13th annual TEXSOM Conference presented from Saturday, Aug. 12, to Monday, Aug, 14. Approximately 1,300 people attended the conference which included educational seminars and wine tastings. James Tidwell and Drew Hendricks founded the conference in 2005 to educate people interested in being sommeliers. The first two days of the conference were packed with educational seminars taught by master sommeliers. Seminar topics ranged from learning to pair beer and cheese to tasting wines from South America. Debbie Strus attended the conference for the second time. She learned so much from the seminars last year she decided to come back. The conference also hosts the TEXSOM Best Sommelier Competition. The competition is held during the conference and includes a tasting exam, practical service exam and a written theory exam. For the tasting exam, competitors complete a wine blind tasting to accurately identify wines. The practical service exam gives them a restaurant scenario where they serve tables while being asked some tough questions about wines and beverages. Lastly, the written exam covers knowledge about all types of beverages: anything from wines, cocktails and coffee. Only 25 sommeliers from Texas or a surrounding state such as Oklahoma, Arkansas, Louisiana and New Mexico can compete for title of TEXSOM Best Sommelier. The winner was announced on the last day of the conference during the Grand Tasting event, which gives over 100 sponsors an opportunity to present their products. This year’s first place winner was Andres Blanco from Houston, Texas. This was Blanco’s third attempt at the competition, and he was shocked to win first place. “This is so special to me,” Blanco said. “It was a little unexpected because I know I missed a couple of questions, but I studied a lot and just tried to stay focused. This award isn’t just for me, it’s for all the Latino sommeliers in Houston. This is for them and all the Latino people who work in restaurants.” Along with the title of best sommelier, Blanco also received a $2,500 scholarship to be used for a Court of Master Sommeliers certification program.